From left: Josh Bekenstein, Laurie H. Glimcher, Billy Star , Lisa Hughes, Mark Lund, Bekah Salwasser, and Robert Smith. The Pan-Mass Challenge recently announced the results of its 2018 fundraising efforts, and quite a year it has been. The organization, which raises money for cancer research and treatment at the Dana-Farber Cancer Institute, says it raised a record-breaking $56 million. The news was announced over the weekend at a brunch celebrating the 6,400 cyclists who took part in the PMC’s annual bike-a-thon for the charity in August. 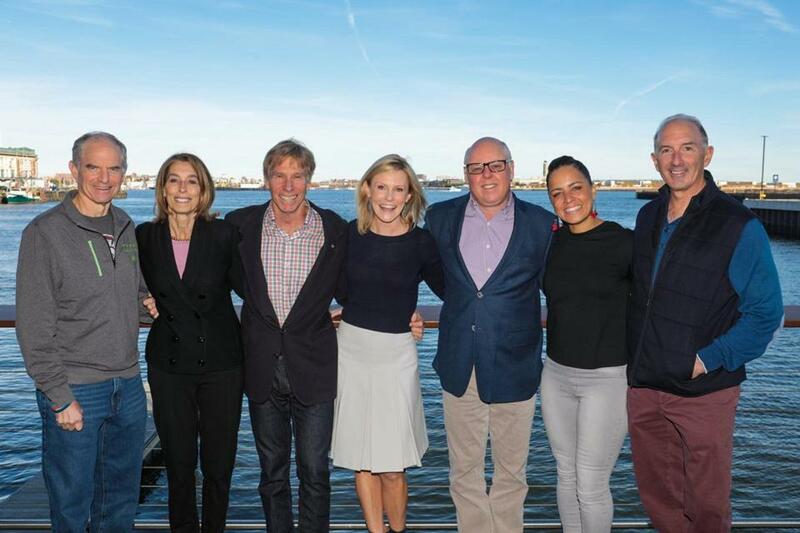 Pictured from left: Josh Bekenstein, Dana-Farber chairman of the board, co-chairman of Bain Capital, and PMC board member; Laurie H. Glimcher, president and CEO of Dana-Farber; PMC founder Billy Star; WBZ-TV news anchor Lisa Hughes; Mark Lund, WBZ-TV president and general manager; Bekah Salwasser, executive director of the Red Sox Foundation; and Robert Smith, PMC chairman of the board and managing partner of Castanea Partners.